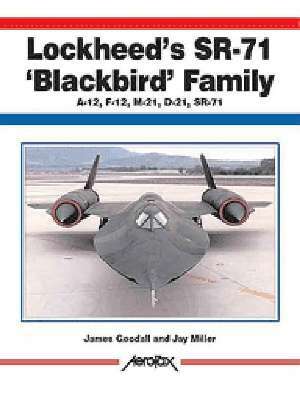 The Lockheed 'Blackbird' aircraft family is arguably the most famous in the world. Developed for the USAF as reconnaissance aircraft nearly 40 years ago, SR-71s remained the world's fastest and highest-flying production aircraft throughout their operational existence. Though only 50 SR-71s were built, everything about them was unique, awe-inspiring, and enigmatic. Today, four decades after the first flight of the first A-12, details of the 'Blackbird' story are still emerging and there is seemingly endless demand from the public for new material. The authors have teamed up to create what amounts to the most detailed history of these incredible aircraft ever published. For the first time, the stories of the development program, the General Dynamics "Kingfish" competition, the M-21 and D-21 effort, the F-12 saga, and the operational history of the A-12 and SR-71 under the auspices of the CIA and the Air Force are all covered in detail. 8-1/2" X 11 ", 128 pgs, Softbound. 250 black & white and color photos plus black & white line drawings.